Imagine you are 21 and your professional debut is in one of the worlds most atmospheric and legendary football venues. A capacity of crowd of over 40,000 will be scrutinizing your every move along with millions watching around the globe. Your mission if you chose to accept is to snuff out the danger posed by some of the world’s most feared goal scoring machines. 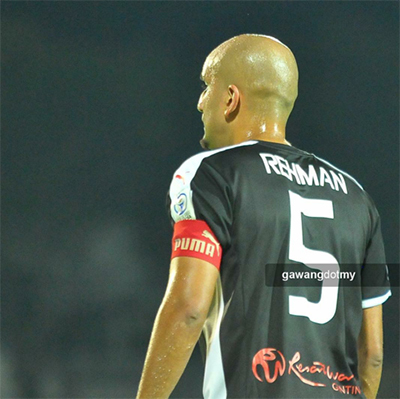 While many can only dream or fantasize about the above for Zeshan Rehman this was reality! This was the Premiership - the world’s best, most talked and watched football league. When Zeshan Rehman ran out onto Anfield in April 2004, not only did he contain a strikeforce with a combined cost of £20 million, he also made history by becoming the first player of South Asian origin to play in the Premiership. In the next coming weeks Zesh would lock horns and hold his own against the likes of Alan Shearer, Patrick Kluivert, Wayne Rooney, Thierry Henry and Jermain Defoe. For many in the game Zesh’s performance came as no surprise. As a youngster growing up in Birmingham, kicking a ball a stones throw away from Villa Park, he had always shown the ability and pedigree needed to perform at the highest level. At the age of 12 Zesh left his home in the Midlands and traveled to London to pursue his footballing dreams. He received 100% backing from his Pakistani born parents Khalid and Farah. Through hard work and determination Zesh made his way through Fulham’s junior, youth and reserve sides before making his full debut against Liverpool. In total Zesh made over 30 appearances for Fulham. His spell at Craven Cottage was sandwiched between loan spells at Norwich and Brighton. He left the club in July 2006. It was not an easy decision, especially given the close working relationships that had been formed with the staff at Fulham. Zesh would not be the player he is today without the guidance he received from Chris Coleman, Steve Kean, Otis Roberts and Watt Nicol in particular. From Fulham Zesh moved the short hop down the round to Championship side Queens Park Rangers in August 2006. Meanwhile at international level Zesh’s decision to represent Pakistan rather than England made headlines across the world. The British ethnic media in particular along with anti racism figures within football criticized the decision. They argued the move would damage community relations. Zesh had been viewed as the first Asian player to represent England at full international level – after all he had played for the English under 17, 18, 19 and 20 sides. Zesh described the decision to choose Pakistan over England as one of the hardest of his life, but cited that he had to be realistic at the chances of playing internationally for England. The Pakistan Football Federation (PFF) was ecstatic and overjoyed at having secured the services of a player with Premiership experience. Officials at the PFF not only invited Zesh to play but captain Pakistan during the South Asian Football Championships. The tournament was held in Karachi (the birth place of Zesh’s father) in December 2005. Zesh was greeted upon arrival at Karachi International Airport by a huge media scrum (the size of which even exceeded the numbers that turn up for the Pakistan cricket team). He was in constant demand by the country’s media and made numerous TV appearances. Such was him impact that over 30,000 spectators attended Pakistan’s group matches. The average gate before Zesh’s arrival was around 5,000. With a flexible agreement with the PFF, Zesh’s short-term aim is to make Pakistan a footballing force within South Asia. The long-term aim is to see the team hopefully qualify for a major tournament. His inclusion has had an instant impact and Zesh was pivotal in one of the country’s greatest ever performance. 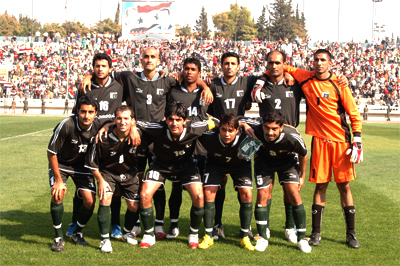 On October 28 2007 Pakistan held the Asian champions Iraq to a 0-0 scoreline. Meanwhile, in club football Zesh had gone on to make 50 appearances for Queens Park Rangers a total of over 125 games in all competitions. However it was a turbulent time at Loftus Road (he played under a total of seven different managers in just two years) so when Zesh was given the opportunity to join League Two's Bradford City on loan, he seized it playing 17 games in every position in the back 4 as well as actively participating in community initiatives to encourage intergration. But while this particular move might have seemed like run-of-the-mill stuff worthy of just a line in the sports pages, it actually represented so much more. But with the Yorkshire city widely regarded as the Asian capital of Britain, and Zesh the current captain of Pakistan, both Bradford and their new player are hoping that they can bridge a cultural chasm that is potentially robbing clubs of a whole seam of future talent, promoting social cohension and putting bums and seats in the process. As one of only five British Asians to be earning a living from playing football in England, the move immediately gave Zesh the honour of being the only Asian to haveplayed in all four professional leagues. But with the Yorkshire city widely regarded as the Asian capital of Britain, and Zesh the current captain of Pakistan, both Bradford and their new player are hoping that they can bridge a cultural chasm that is potentially robbing clubs of a whole seam of future talent, promoting social cohension and putting bums and seats in the process. 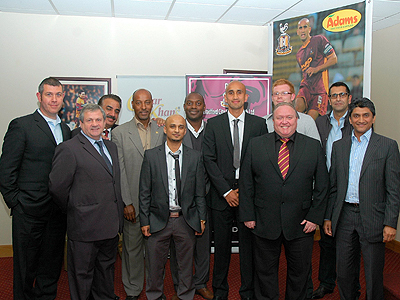 Because of Zesh's standing, not only as a quality footballer, but as a major figurehead in the fight to get more Asians involved in football, Bradford are hoping that Zesh can sit at the centre of an ambitious project to unite the community behind the club in an attempt to return Bradford to where a club of its size and heritage truly belongs. Bradford have a modern 25,000 all-seater stadium and can boast gates of 14,000 every week – unprecedented in League Two. On the 16 of June 2009 Zesh signed a permanent 2 year deal with Bradford City despite higher division interest and more money. saying, "my gut felling told me to sign for Bradford and Ive absolutely no regrets. Im fortunate enough to have played in all the divisions and and see this as the next step in my journey. Im 25 and still feel the best years are ahead of me." He has now played a total of 60 games for the club since initially arriving on loan the previous season. Zesh finished the season playing regularly for new manager Peter Taylor as the team finished uneaten in the last 6 games. 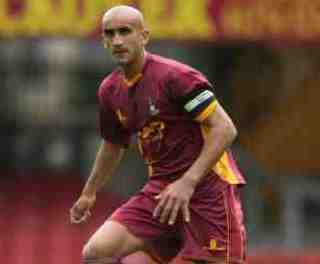 Upon signing for Bradford Zesh was handed the Club Captaincy and became The Bantams first Asian Captain in the its 107 year history. During the season he successfully captained the side to the clubs longest unbeaten run for 25 years. This lead to praise from Chairman Mark lawn who was quoted as saying, "Zesh is very good at getting players to do stuff. I can see why Stuart gave him the Club captaincy. He does lots with the players off the pitch as well which is important. 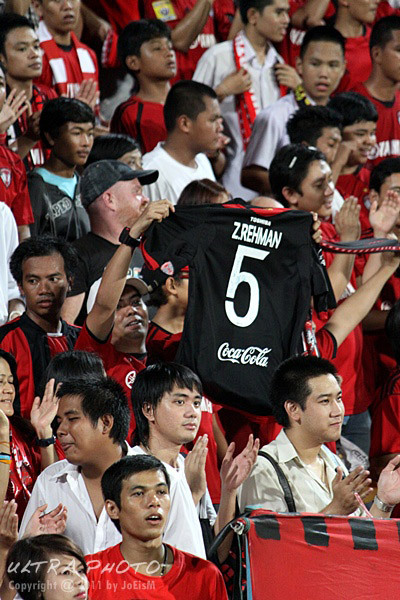 That breeds team spirit and the supporters respond to that" Zesh played over 40 games during the season scoring three goals. He has now played a total of 60 games for the club since initially arriving on loan the previous season. Zesh finished the season playing regularly for new manager Peter Taylor as the team finished uneaten in the last 6 games. Off the pitch Zesh's heavy involvement with community projects on behalf of the club was rewarded wen he was named The PFA Player In The Community at the prestigious awards ceremony at The Grovesenor Hotel In London. Football league awards judge, Sky Sports Peter Beagrie, said of Zesh, "He is a great communicator, leader and role model. He is a national ambassador, comfortable being charged with the job of uniting a multiracial community"
“I met the club officials over the weekend and my gut feeling was to sign. I have been made to feel very welcome by everyone and there is an extremely professional set up, excellent training facilities, 25000 seater stadium and very passionate fans”. “I have always wanted to play in Asia. It was time for a new challenge. It will be a huge honour to become Thailand’s first Pakistani International so it’s a good feeling to be part of creating footballing history again”. Muangthong United are equally delighted to have landed their man after a year long pursuit. The General Manager and Executive Director of the club Ronnarit Suewaja said: “We are absolutely delighted to have finally signed Zesh. We have been monitoring Zesh for a while,since we know that he comes here to win, it suits us perfectly”.“It’s huge for Thai football that a player of his quality and experience will come to play here. When we took over the club 4 years ago we wanted to be successful and have done by winning the Premier League two years in a row. We expect to move the club further year by year and by signing Zesh, proves how ambitious we are. Zesh’s professional approach will be of huge benefit to our club and for the young players to follow”. 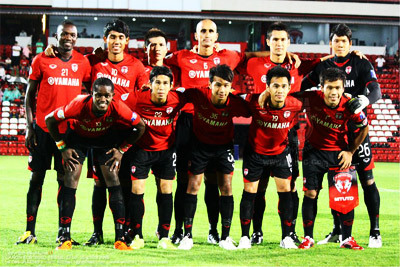 After a successful first year in Asia with Thai Champions Muangthong United, helping the team reach the final of the Thailand FA Cup and the quarter-finals of the Asian Champions League, Zesh headed to new territory in East Asia, signing for Hong Kong Champions Kitchee SC in a deal until May 2013. Zesh made a Total 30 appearances for the Bangkok based side and worked closely with Player Manager and former Liverpool legend Robbie Fowler on and off the pitch in massivley raising the profile of Thai football on the International stage. Ken Ng, Kitchee’s president, said: “Kitchee is happy to have secured Zesh as our Asian Foreigner for the upcoming AFC Cup competition. Not only has Zesh played at the highest level in England, he has also demonstrated his leadership and good nature as an individual who share our values. Zesh made his competitive debut for Kitchee SC on the 29th of January 2012 in a narrow 2-1 victory over rivals JC Sun Hei at the Mong Kok Stadium, the supporters and media alike were pleased to see Zesh now plying his trade in Hong Kong as he was met by a media frenzy. The result maintained his teams position on top of the league at the seasons half way point.
" I have been fortunate enough to play football in four Countries and it was great to experience the atmosphere and obvious passion for the game here in Hong Kong"
Zesh his first title in Hong Kong on 15th April 2012 by helping Kitchee beat rivals Pegagus 2-1 in The Halewinner League Cup Final. "I am very happy to have helped Kitchee win the league, there is an excellent family atmosphere at the club and the all the coaches, clubs officials and fans deserve huge credit. Hopefully we can win the FA Cup and round off. Terrific season by doing the treble"
Zesh helped kitchee round off a historical season for the club by completing the domestic treble when the team displayed incredible belief and spirit to win the FA Cup Final 5-4 on penalties against Peagus at The Hong Kong Stadium on 26th May 2012. Kitchee rescued the game late on with 2 goals in the last few minutes of extra time to make the score 3-3 and send the tie to penalties. Zesh scored the vital 3rd spot kick after the opposition had missed their second.
" this was one of the most incredible games I have ever been involved in, we thoroughly deserve to be treble winners because of our attitude and never say die attitude, now it's time to have a good rest!" Zesh finished the season having played 23 games for his new employers since his January arrival and was an ever present in the all conquering side playing in every competitive game. Zesh started the following season putting in a commanding display in Kitchees 2-2 with Arsenal in Pre season at the Hong Kong National Stadium in front of 40,000 fanatical fans. Kitchee's outstanding performance drew praise from Arsenal Manager Arsene Wenger. Zesh continued his remarkable appearance record for the club playing 55 from a possible 58 competitive games. 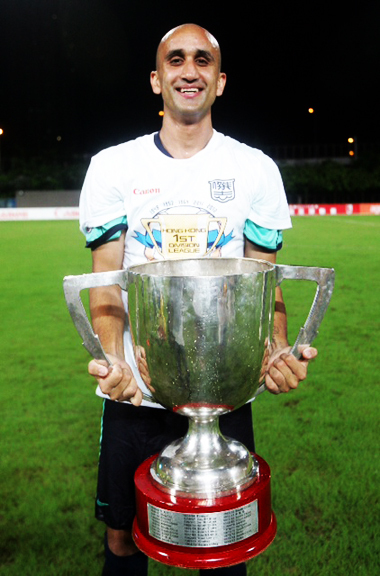 Zesh won his 2nd FA cup for Kitchee on the 11th May in a hard fought 1-0 Victory over Pegagus. This was his 4th trophy in 1.5 years with the club. 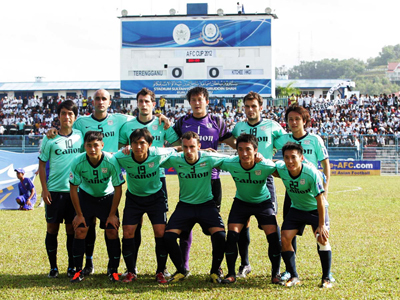 Kitchee once again progressed out of the group stage of the AFC cup and going one step further than 2012 by reaching the quarter final stage of the regional competition, creating history for Kitchee by getting this far. His tag as the Asian signing truly justified by 100% appearance record in the completion playing every minute. On The 27th May Zesh helped Kithee keep a 7th consecutive clean sheet by beating Tuen Mun 3-0 in the season play off final to be ensured AFC cup football in 2014. Zesh's Impressive form for Kitchee has lead to several offers from other Countries in Asia and beyond which he is currently contemplating. 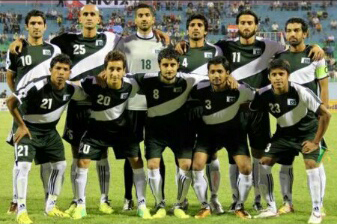 In September 2013 Zesh represented Pakistan in The SAFF Cup which was hosted in Nepal. His presence in the competition was greeted warmly by the media as his status of the highest profile South Asian player helped to increase crowd attentandes. Zesh did not dissapoint putting in three outstanding displays which earned him a place in the team of the tournament. 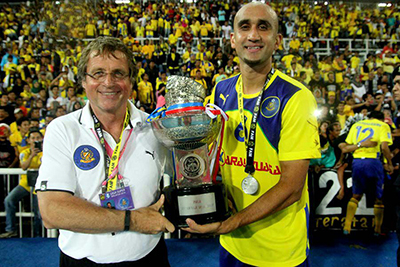 In December 2013 it was announced by Pahang FA Rehman agreed a two year deal to move to the Malaysian Super League for the 2014 season with the current Malaysian cup champions. Pahang attract huge crowds of over 35,000 every home game which was one of the reasons that enticed Zesh to make the switch after two succesful years in Hong Kong with Kitchee. 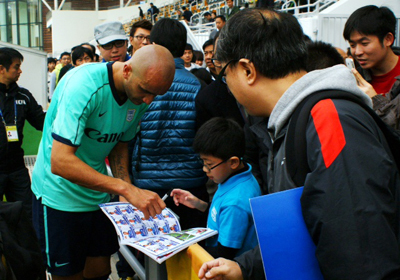 30-year-old Rehman confirmed his departure from Kitchee in his personal blog and thanked his fans for their support. "I have to say a special thank you to all of the Kitchee family, fans and media for leaving me and my family with very special memories of my time in East Asia," read the statement. "Everyone made me feel welcome from the very first moment and I loved every moment here. In total I played 64 games for Kitchee enjoying winning four trophies and being a part of the best AFC Cup run in the club's history progressing to the last 16 and then last eight in the two years here. I'm delighted with the team being top of the table and in a healthy position approaching the second half of the season. I will be keeping a close eye on proceedings here in the near future and beyond." "We are very sorry to see Zesh go but understand the reason why. It is a step he should take, with his future and family in mind. 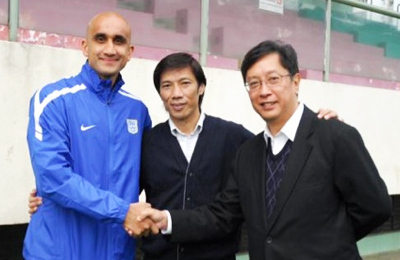 Zesh has contributed to the Kitchee success in the last two years by strengthening our defense. His friendliness with everyone in the team also helped to create a good team spirit. We congratulate him on his new move to Malaysia and wish him every success for the future"
His new employers were very pleased with their new recruit, Zainal Abidin Hassan ex Malaysian International legend and key figure with in Pahang FA commented: "We are delighted Zesh chose to come to Pahang ahead of several other teams. He brings with him vast experience, leadership and a winning mentality which is exactly what we are looking for. We hope he can use his International and AFC Cup experiences to help us step up a level domestically and regionally. His professionalism and presence will be an asset for our young squad"
In April Zesh scored his 1st League goal for Pahang with a thumping header in the 2-0 victory over East Coast rivals T Team which ensured Pahang finished the first round of the season in first place. 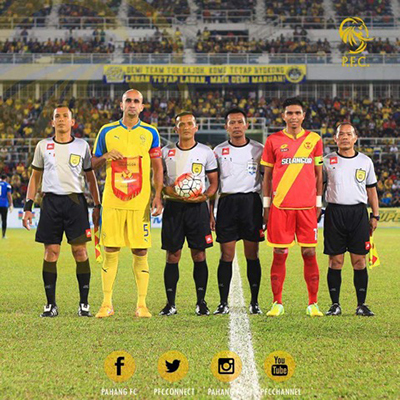 On 30 May 2014 Zesh put in a commanding performance in the 1-0 victory in the FA Cup semi final 2nd leg against arch rivals JDT at the Darul Makmur Stadium to help secure Pahang's a spot in the final. A week later on the 7th June Zesh helped Pahang win The FA Cup beating Felda United 2-1 at The Shah Alam Stadium in front of 60,000 fans. He assisted the winning goal for team mate Dickson Nwakeame in the last minute. The trophy win was his second in Malaysia and his 6th in the past 2 and a half years. He achieved his objective he set out when signing for the club which was to help Pahang reach the AFC Cup. 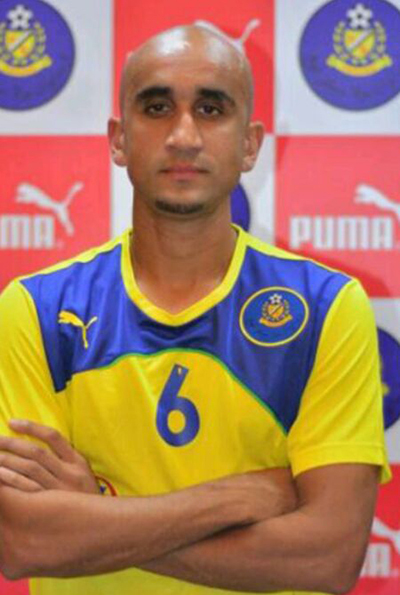 An ecstatic Zesh said; 'I am delighted all the hard work has paid off and we are now in The AFC Cup, I am also pleased to add to the growing number of trophies I have been fortunate to win but the dream must always be greater than the memory"
Zesh scored his 3rd goal for Pahang in September 2014, during the final group stage game of the Malaysia Cup away to JDT 2. Pahang progressed out of the group into the quarter finals. On october 11th Zesh scored the vital equaliser in the quarter final second leg of the Malaysia Cup at The Shah Alam Stadium, His all action display proved to the be the catalyst in his side clinching the victory late on to ensure their progression to the semi final. 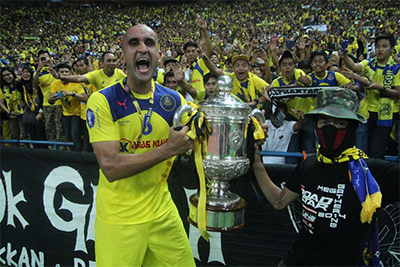 OOn November the 11th 2014 Zesh finished the season in emphatic style with Pahang helping them to win the prestigious Malaysia Cup for a second consecutive season with victory over JDT at the Bukit Jalil National stadium in front of a massive 100,00+ crowd. Zesh scored a decisive penalty in the shoot out after extra time. The Victory was his 3rd trophy in one year with Pahang and his 7th in the past three season to round of a fantastic couple of years. 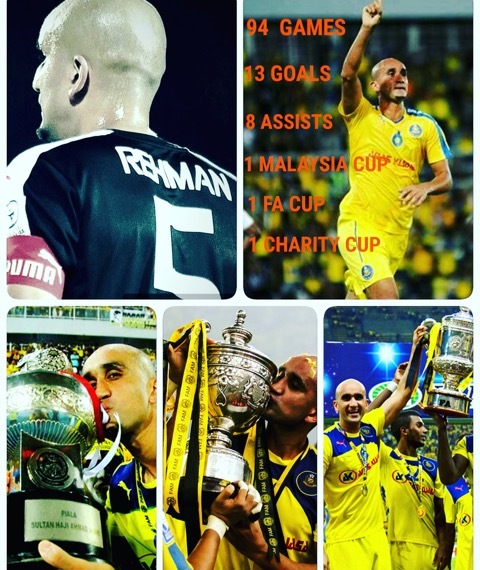 He played a total of 39 games for Pahang from a possible 40 scoring 5 goals, his best career total for a single season. 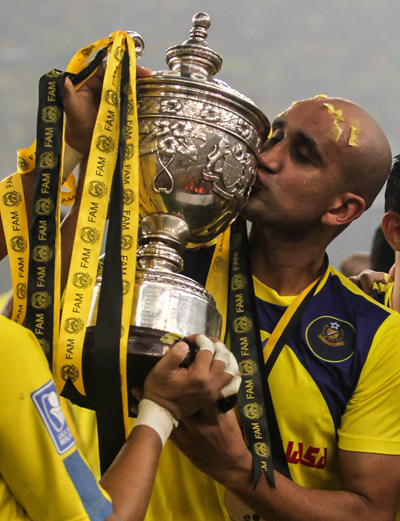 In 2015 Zesh helped Pahang to finish second in the Malaysia Super League, the highest finish for the club in over a decade and in doing so became the highest goalscoring defender in the league netting 6 times, he scored 8 goals in all competitions throughout the season. Pahang also created history by reaching the AFC Cup quarter final for the first time in their history. Pahang went on to reach the semi final of the FA and Malaysia Cup. Zesh played the majority of the season in Midfield displaying his versatility and value to to the team, performing admirably in the holding role. He played 45 from 46 games in all competitions his best career stats in a season to date.Throughout the year he also achieved some notable personal milestones such as playing over 300 career games across four nations and notching up 100+ games in Asia and completing five years of playing competitive football in the Asia region. 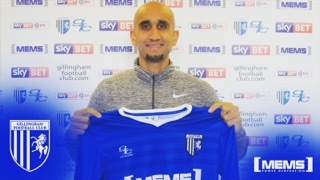 On 23 February 2017, Zesh returned to English football by joining League side Gillingham Fc until the end of the 2016/17 season. Zesh made his debut for the club in a 2-1 Victory over Southend, drawing praise from manager Adrian Pennock for his performance and leadership. Zesh himself was equally pleased to be back in the English game saying, “its great to be back, everywhere I played in Asia the games from England were being broadcasted and I missed it. I have been in Asia for 6 years and played over 200 games. Hopefully I can use my experience to help Gillingham maintain their League One status"
Im delighted to have signed for Southern FC in Hong Kong. An Ambitious, progressive & competitive club with a great family atmosphere. After weighing up several offers in England & other parts of the world a return to the Far East was far too good to refuse for me and my family. Looking forward to working again with Head Coach, Cheng Siu Chung who is an excellent man manger, very passionate & extreemly knowledgable about football. Hopefully my experience can help the club develop further and pick up some silverware along the way. My daughter was born in Hong Kong and has been asking me for a few years when she can go back so her wish has finally come true! Looking forward to flying back to East Asia to get pre season underway.